Another shot of Jacoby riding the T. This is on the way into Cambrige. This is at Charles/MGH, where the train goes above-ground to cross the Charles River. 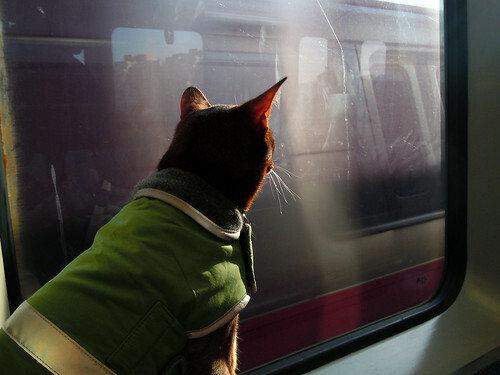 Another Boston-bound train is passing, and Jake is watching it flash past our windows. That’s a really beautiful photo.